Chances are, you’ve got a cornucopia of incredibly beneficial skin care products sitting in your kitchen cupboards - especially if you tend to buy organic and plant-based. If you put effort into a clean and sustainable diet, the foods you’re nourishing your body with are likely multi-use: equally as good drizzled on a salad as they are added to a DIY face mask. Which brings us to the point of today’s deepdive: oils. Common household oils have a variety of skincare benefits, and can help combat everything from acne to eczema on the face and body. The role of facial oil in skincare has gotten serious buzz this year, as people have realized that oil is not the enemy, but rather a skin-loving tonic that can work as both a moisturizer and a cleanser. 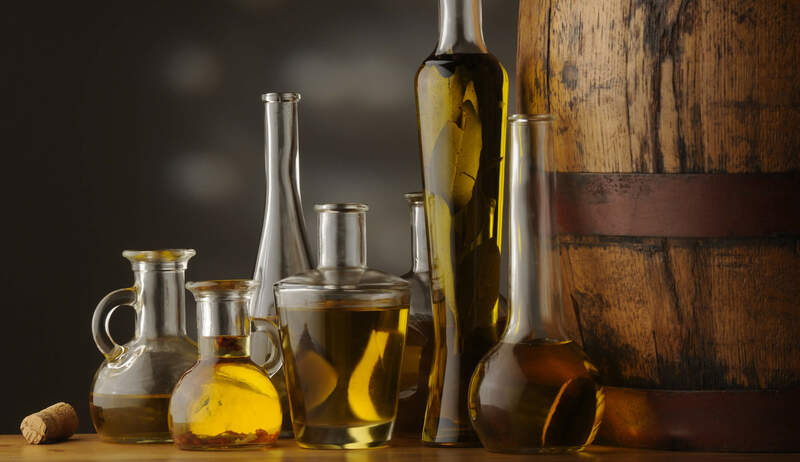 Here we’ve raided the kitchen cabinet, and have put together a breakdown of cooking oils. PRO TIP: Oils can be used either as a deep treatment mask, or an overnight moisturizer. If your skin type is slightly more acnegenic or prone to sebum overproduction, try applying a facial oil for a period of 10-15 minutes, and relaxing with a warm washcloth over your face to increase absorption. Try using Puristry’s Nopal Cactus Cleanser for rinsing off the mask, and follow with Puristry’s Seaberry Moisturizer to lock in nutrients and moisture. Voila, you have a DIY facial at the ready. So let’s dive in! Which cooking oils are the best for YOUR skin type? Read on for our favorite multi-tasking kitchen oils, packed with with some serious skin benefits. 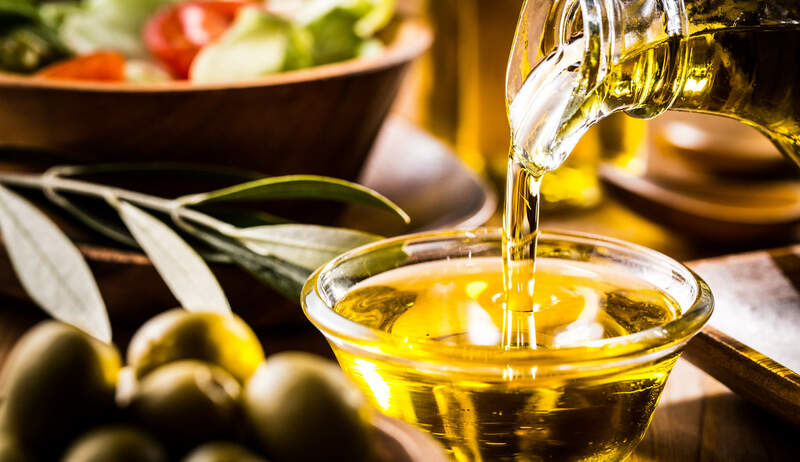 Olive oil is naturally packed with super nourishing squalene, a highly effective emollient that mimics our skin’s lipid composition, meaning that it’s able to absorb and penetrate deep into the epidermal layer. It’s rich in vitamins A and E, which are beneficial to those dealing with eczema, and it’s an ultra moisturizing tonic to apply after sun exposure. If you’re dealing with congested pores, sometimes a less is more approach with olive oil, given that its texture is quite thick and viscous. Canola oil contains a high level of essential fatty acids, which moisturize the skin and enhance the strength of skin tissue. It’s also rich in Vitamin K, which helps keep the skin supple and smooth, and linoleic acid, which forms a barrier on the skin to keep moisture from escaping. 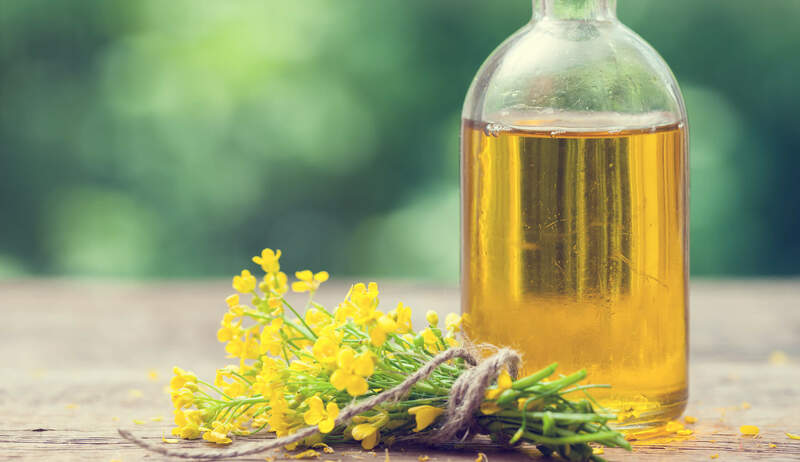 Try a small test patch of skin before applying canola oil overnight as a moisturizer, as it can cause slight skin irritation for those with especially sensitive skin. If you tolerate it well, green light on the application, as it’s a surprisingly inexpensive anti-aging boost and skin softener. Grapeseed oil is a holy grail for treating fine-lines and wrinkles, thanks to its ridiculously high antioxidant content and the presence of resveratrol, an active compound that reduces oxidative damage in the skin. It also contains high amounts of linoleic acid, a fatty acid that’s important for your skin’s cell membrane integrity. 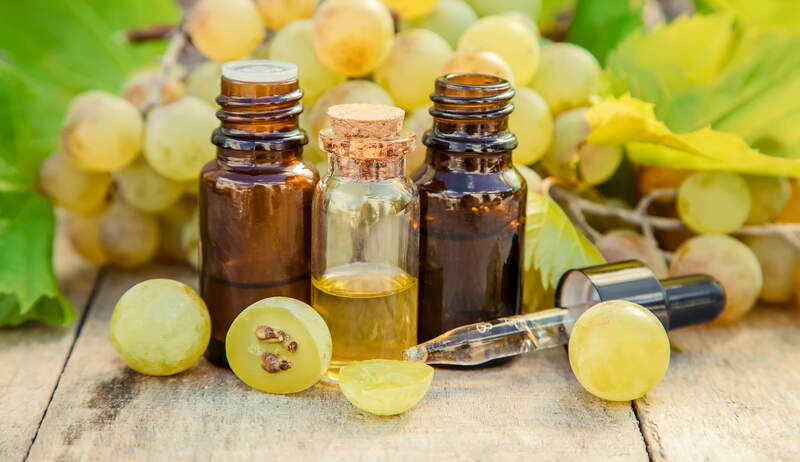 People suffering from acne have seen excellent results from grapeseed oil, thanks to linoleic acid also playing a role in the skin’s natural exfoliation process. Plus it’s high in vitamin C, so it can be a helpful brightening tonic for those with age spots as well as acne scarring. 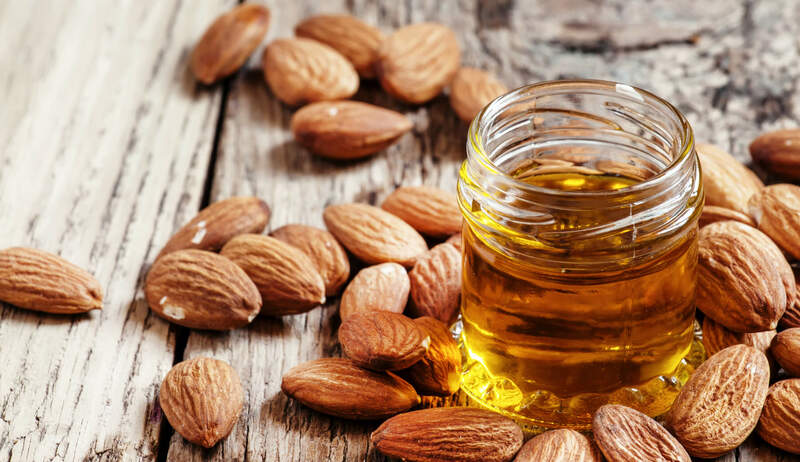 The small and mighty almond unsurprisingly produces an oil with a long list of skin benefits. It contains the powerful antioxidant Vitamin E, which fights off free radical induced aging and oxidative damage–so this is a particularly good oil for mature skin types. It also contains fatty acids which helps skin retain moisture, and is effective at healing any chapped or flaking skin. And because almond oil is mild and has hypoallergenic properties, it can be used by even those with the most sensitive skin. Sesame oil might not be the first oil that you think of for skin care, but in fact it has been used as a healing skin oil for centuries. 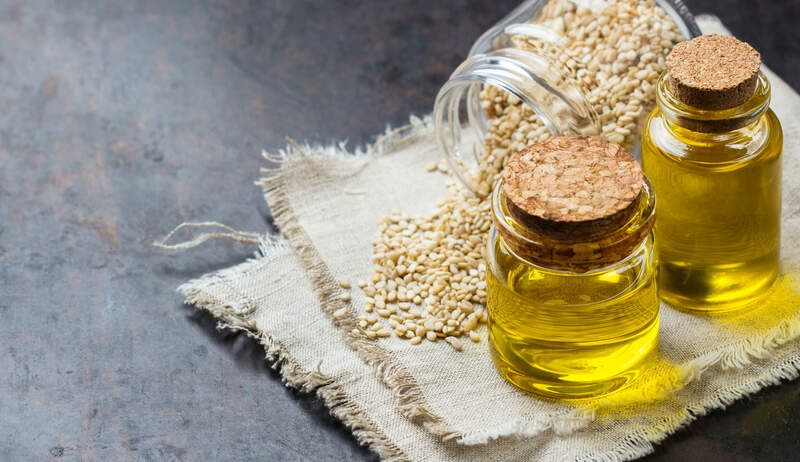 The inflammatory and antibacterial properties in sesame oil mean that it can work as a spot treatment for live blemishes, and its high content of Vitamins E, B, and D means that it can be helpful in a scar-fading routine. Because sesame oil is so gentle, and because of its silky and emollient texture, it’s an excellent carrier oil that can be used for diluting other more concentrated essential oils. If you’re making your own facial oil blends, sesame oil is a must-have base. Avocado oil is a seriously good choice for anyone suffering from dry and mature skin. It’s ultra rich in essential fatty acids and oleic acid, which can promote collagen synthesis and aid in the regeneration of healthy skin tissue. This process is bolstered by the presence of sterolins: naturally occuring steroids that soften skin and reduce the appearance of age spots. The healthy fats in the oil help mature skin retain density and elasticity, and lecithin acts as an effective emulsifier that allows your skin to absorb all of the oil’s nutrients. 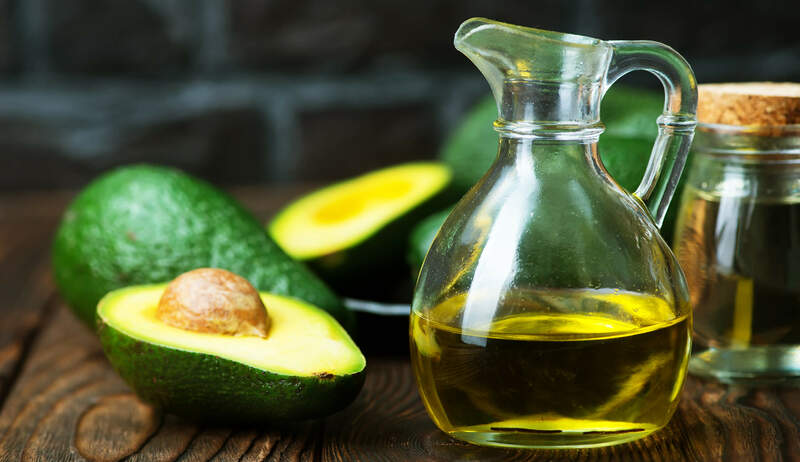 If you suffer from particularly oily skin, try using avocado oil as a mask (rather than an overnight treatment) to reap the benefits while maintaining a healthy lipid balance on your dermis. Using a facial oil is the best way to get that coveted “inner-glow”, so don’t hesitate to get creative with these oils from your kitchen!